Six SU-85 (two platoons of 3) and one T34/85. 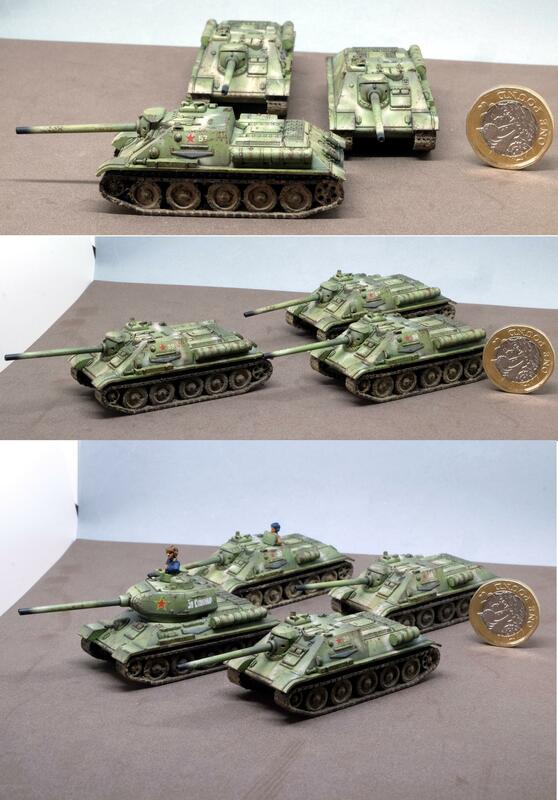 Flames of War miniatures, 1/100 scale. One Pound coin for scale only, haven't painted it ;). Please notice that one SU (no 57) destroyed 5 German Kittens, Stalin himself sent a decoration ;). Its a part of my Soviet army (painting still in progress) - please check my other pictures.